Ready to stock up on the best coolant around? Alexis Oil is proud to carry a variety of Chevron-made coolants including: Chevron Delo ELC, Chevron Dex-Cool, Chevron Supreme, Chevron Universal, Chevron Havoline, and Chevron Heavy Duty. 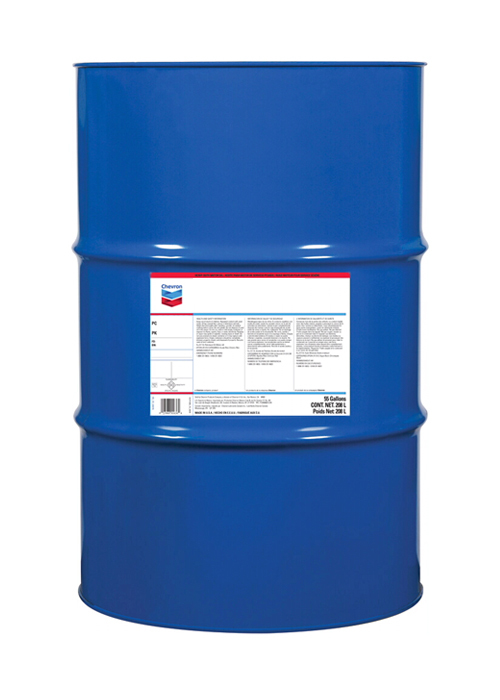 Chevron’s coolants and antifreezes contains patented organic corrosion inhibitors, improving heat transfers which maximize engine performance and extend engine service life. Click on the products below to read their descriptions. 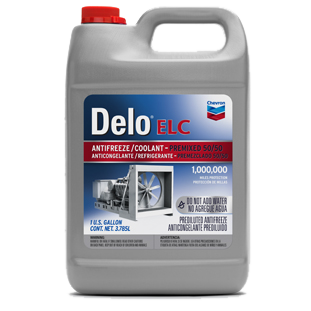 Delo® Extended Life Coolant/Antifreeze – Nitrite Free products are single phase, ethylene glycol antifreeze/coolants based on patented aliphatic carboxylate corrosion inhibitor systems. 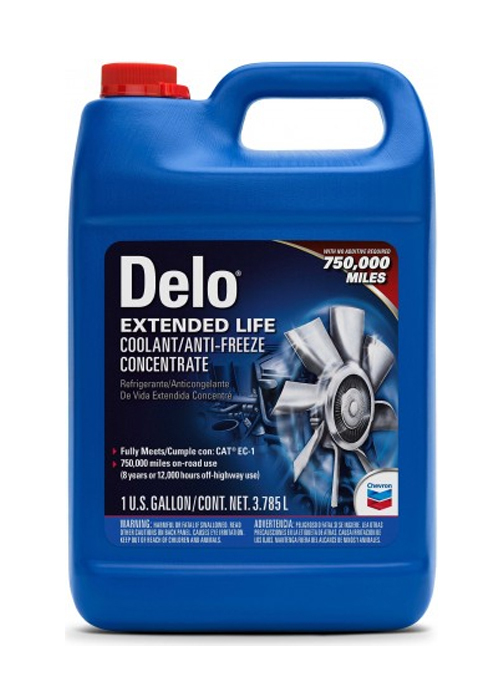 Delo Extended Life Coolant/Antifreeze products are heavy duty engine coolants that use a patented organic corrosion inhibitor technology called carboxylates. 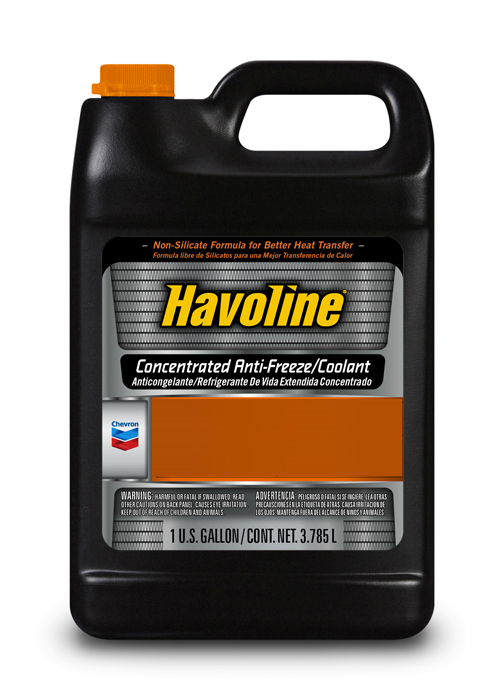 Havoline Extended Life Anti-Freeze/Coolant is recommended for use in the cooling systems of all types of automotive engines. 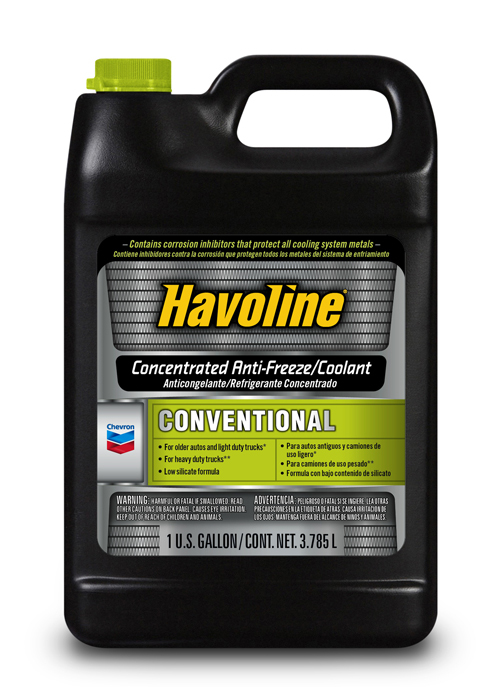 Havoline Custom-Made™ Antifreeze/Coolants is custom made for newer model Ford and Chrysler vehicles. It meets/exceeds ASTM D2809, D3306, and D6210 standards. 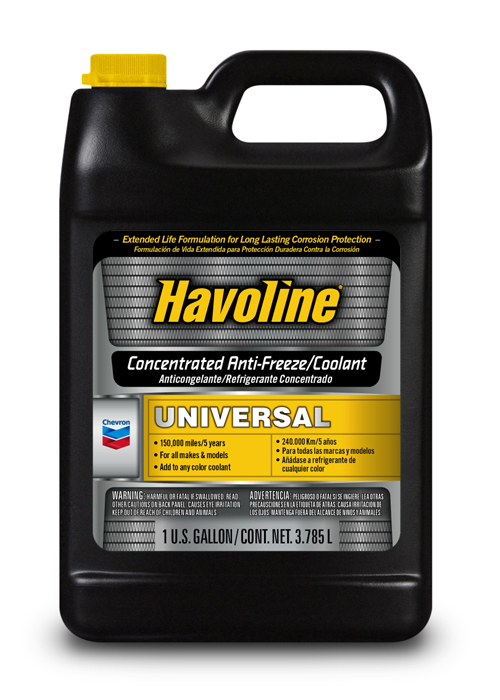 Havoline Universal Anti-Freeze/Coolant is designed for all makes and all models of automobiles and light duty trucks regardless of fuel type built by American, European, or Asian OEMs.